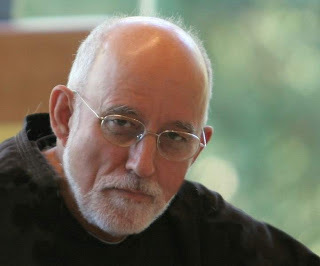 Later today, the papal nuncio to Ottawa Archbishop Luigi Ventura will ordain Br John Corriveau, the former global head of the Capuchins, as bishop of Nelson in British Columbia. The late November appointment of the 66 year-old friar, who served two terms as minister-general of the 11,000-member community, caught quite a few of his confreres by surprise. Twice provincial of the world's smallest Capuchin province and a parish priest in Toronto before a combined two decades at the order's central offices in Rome, Corriveau returned to Canada in late 2006 and -- at his own request -- promptly headed to the heart of the Capuchin charism, serving the homeless at a TO soup kitchen. "He is truly humble," friends say, likeable, energetic, joyful, and respected... even by those who might not see eye-to-eye with him on everything. The ordination brings North America's delegation of Capuchin prelates to three -- the others are, of course, Cardinal Sean O'Malley of Boston and Archbishop Charles Chaput of Denver. And in the mold of the community's tenth red-hat in its 400-year history, the bishop-elect said he's sticking with his habit. In an extended interview (stream) with Salt + Light taped shortly after his appointment, Corriveau said that -- besides being "a very comfortable garment" -- the signature brown robe "is my identity." "I hope it won't be offensive to anyone," the bishop-elect said, "but it's who I am." "If Pope Benedict had appointed a Capuchin Franciscan as bishop," he added, "then I'd presume he wants me to be present in my charism." For "formal occasions," however, Corriveau said he'll don the standard purple that comes with the office. Its see city located about 60 miles north of the Washington-Idaho border, the Nelson diocese spans 48,000 square miles (125,000 square km) of the province's southeast corner, counting a fold of 65,000 served by 36 priests in 31 parishes. For purposes of convenience, today's ordination will be held at a parish church in Kelowna, an outpost closer by half to Vancouver. The installation will take place at Nelson's Cathedral of Mary Immaculate tomorrow night.